“He who fights and runs away, lives to fight another day.” In almost any conflict, however heroic, there comes a time for making a daring escape! In this dramatic book you can find out about some of the best in wartime history, from Napoleonic times to D-Day. 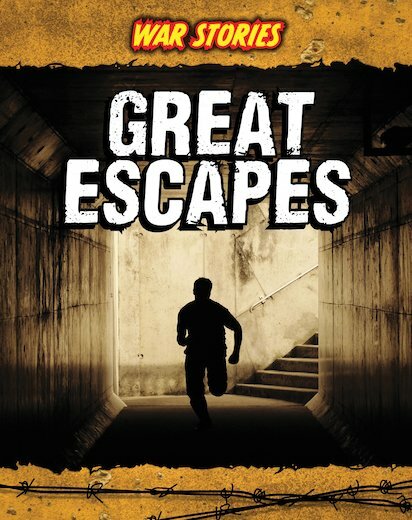 Travelling from ancient conflicts to the wars in Afghanistan and Iraq, this book features thrilling true stories of escapes of every kind – from incredible tactical masterstrokes to stealthy evasions by darkness and organised break-outs. Read how Napoleon built bridges over the river Berezina to lead his troops to safety, how Jewish children were smuggled out of Nazi Germany, and how thousands of Allied soldiers were saved from the advancing German troops at Dunkirk in 1940.